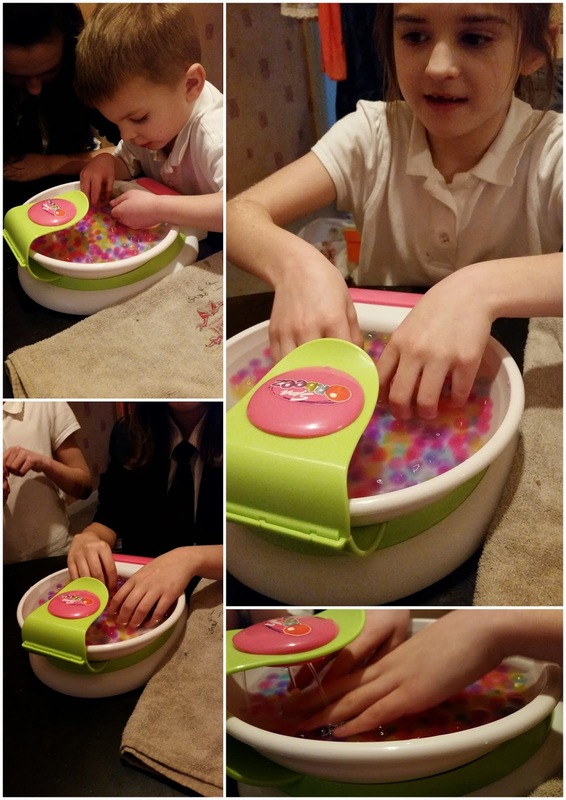 Bring home the ultimate spa experience with the Orbeez Hand Spa! 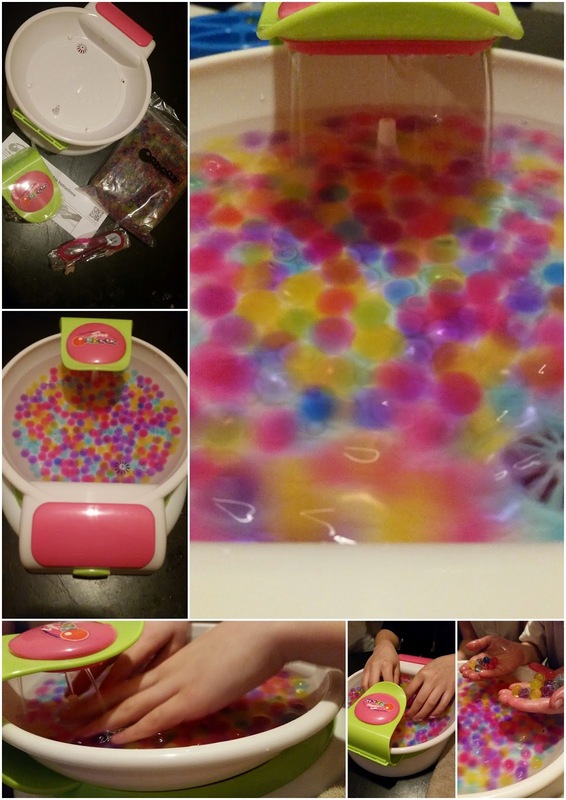 It features a whirlpool of swirling Orbeez plus a 3 in 1 hand and nail care tool too. It's aimed at children aged 5 and over and costs around £19.99 which in my opinion is well worth every penny. It's really easy to set up, you simply click the waterfall feature piece onto the side and fill with water. We used warm water as we didn't want to freeze our hands but I guess you could use whatever temperature water you like. Once filled with water you pour your Orbeez into the base, we used around half of our 600 bag as that almost filled it for us. There's a simple on off button which turns the whirlpool feature on and off. When it's on the water swirls around the base and vibrates to give your hands a nice relaxing treat. There's a really cool waterfall feature too where the water goes upwards and then pours back down over your hands. The kids loved this part and were really fascinated with how it worked. The Orbeez feel really strange, they're kind of gooey like but they're solid balls. They're brightly coloured and lightweight making them perfect for children with sensory needs. All three of my children loved having a go putting their hands into this. My youngest liked playing with the Orbeez gently passing them from hand to hand where as my girls liked pretending they were in a spa and having a lovely hand massage with it. I managed to have a quick go myself and have to say it's a rather nice feeling. The Orbeez are squidgy and soft yet firm and round. They really are strange little things but they feel great. The one thing I really liked about this set is how easy it is to set up and then put away. When they were finished playing, I tipped the Orbeez into a strainer to drain off the water and then simply popped them back into their re-sealable bag. For £19.99 you're getting quite a lot for your money as this set is reusable meaning the kids can use it over and over again. I think I might even use it again when they're not looking. Now that they've enjoyed the Orbeez hand Spa they have their eyes on the Foot Spa which now that I've tried this one I might actually go out and buy for them (ME). 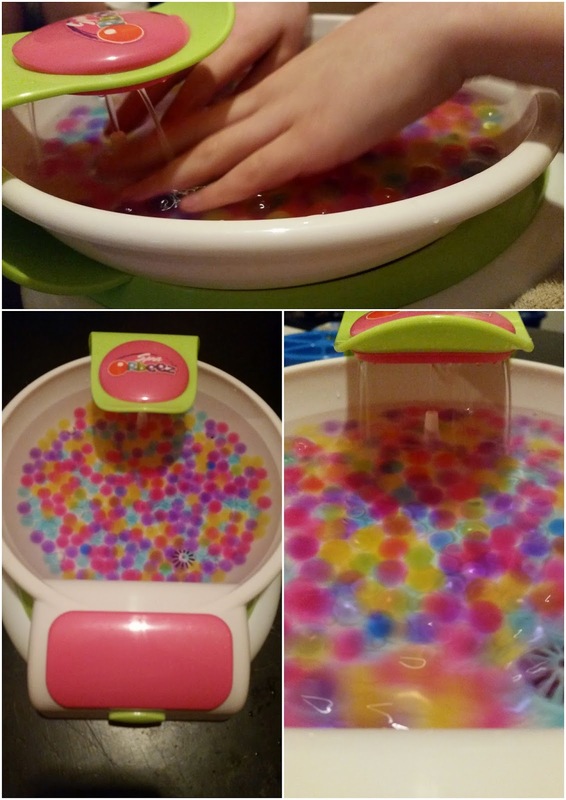 Disclosure: We were sent our Orbeez Hand Spa sample in return for an honest review.